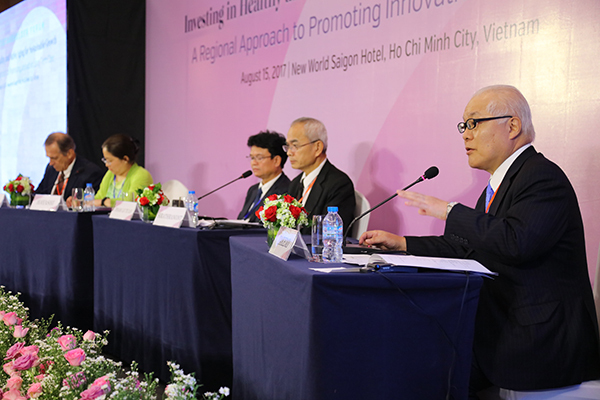 A multistakeholder forum was held to address the challenges facing Asia Pacific due to aging populations. Rapid population aging is one of the key challenges faced by an increasing number of societies in Asia Pacific and was identified in Healthy Asia Pacific 2020 as an urgent issue to be jointly addressed. The forum, which was held on the sidelines of meetings related to this year’s APEC Senior Officials’ Meeting (SOM) in Viet Nam, drew over 260 people from 27 economies in the region, representing diverse stakeholders, namely parliamentarians, government officials, and representatives from international organizations, academia, civil society organizations and the private sector. An aging society is not only an economic challenge but it is inherently a health and human security issue. It will significantly impact the achievement of universal health coverage, which is essential to ensuring healthy and active lives for all throughout the life course, as set out in the Sustainable Development Goals. This forum, the first initiative of a newly launched JCIE program on "Healthy and Active Aging in Asia," offered a platform to raise awareness of the urgency of the issue, discuss the challenges and ways to harness the benefits of rapid aging in Asia-Pacific countries, and share good innovative practices. 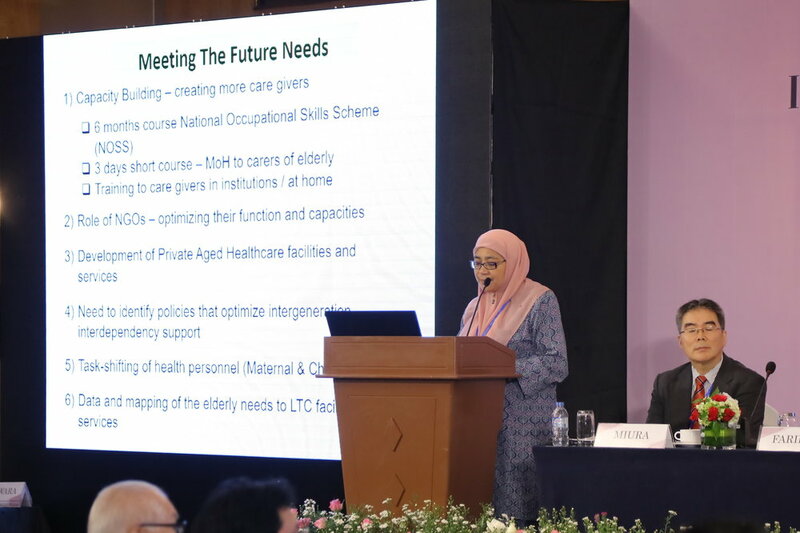 The Forum participants recognized that population aging is no longer merely a domestic issue, but a common agenda item that transcends national borders, and that the multifaceted and complex challenges brought on by aging require a multisectoral approach. It is hoped that the intellectual input from the forum will spur further policy debate among APEC officials and will encourage greater focus on the issue of aging in national, regional, and global policy debates in the future.